Adolf Hitler was legally named Chancellor of the German Reich on January 30, 1933 by the then Reichspräsident von Hindenburg. Strengthened by domestic and foreign political successes, he quickly became the all-powerful dictator of Germany. 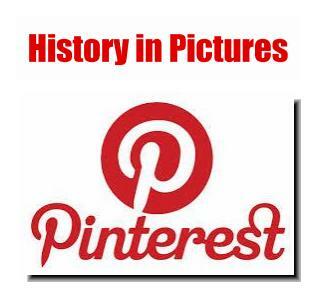 Hitler was leader of the political party he had built, the National Socialist German Workers Party, with all of its ubiquitous sub-organizations. He became head of state, Reichskanzler and Reichspräsident in one, and from 1938 was also Commander-in-Chief of all the German Armed Forces. To the German people he remained simply der Führer. 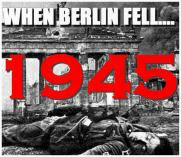 In 1939 Hitler launched the campaign against Poland, which widened into the Second World War. Following the subsequent victorious campaigns in Holland, Belgium, France, Norway, Yugoslavia, Greece, Crete and North Africa he was hailed by German propaganda as the "greatest strategist of all time." 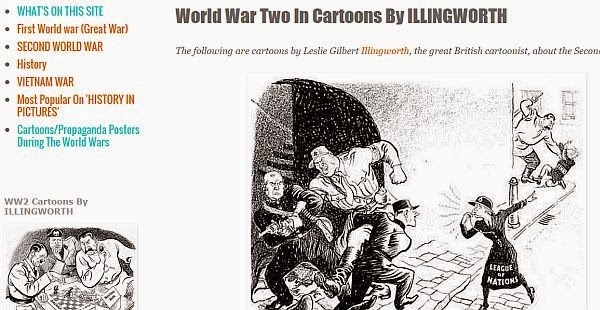 By the beginning of the Russian Campaign Hitler had lost sight of what could be realistically expected from the armed forces which he commanded, subordinating such considerations to his political and economic interests, as well as to thoughts of his own prestige. His unlimited self-overestimation was summed up in one sentence when he took over command of the army during the Winter of 1941: "The little matter of operational command on the Eastern Front is something anyone can do." 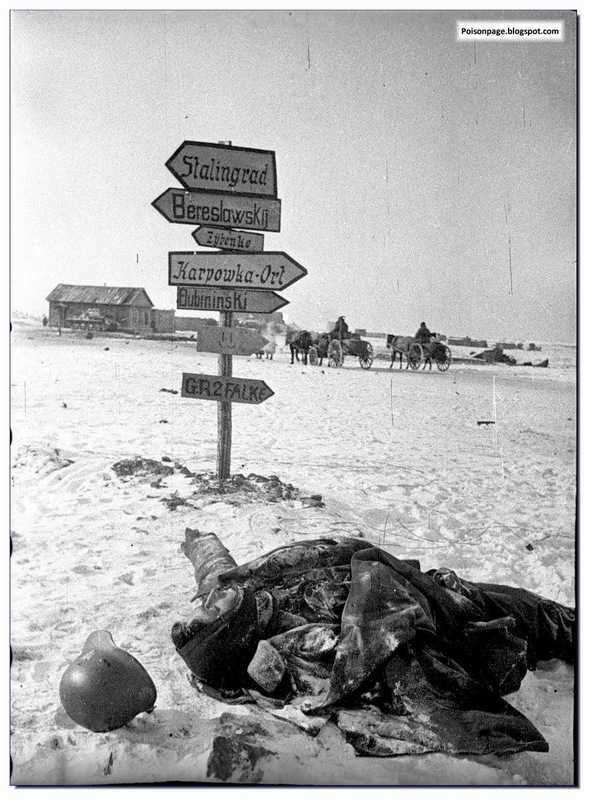 At the latest, Hitler's unsuccessful conduct of the war became apparent with the destruction of the Sixth Army at Stalingrad in the Winter of 1942/43 and the final abortive German offensive near Belgorod-Orel in the summer of 1943. From then on the growing Soviet forces launched one offensive after another along the entire front, from Finland to the Black Sea, while the ever more depleted German divisions were constantly on the retreat. The result for the German Army was heavy defeats and disasters which could no longer be made good. Hitler's estimation of the Soviets was such that he always believed they were just about finished. This was wishful thinking, because exactly the opposite was true. His whole strategy in the face of the continual enemy advances exhausted itself in obstinacy: no surrender of a single square meter of captured ground , a defense at any price, which made the change to a flexible conduct of the war impossible and denied an elastic defence. Frederick the Great had said: "He who wants to defend everything, defends nothing." With Hitler, on the other hand, unwilling to listen to reason, the watchwords were: hold! - stay put! - not one step back! The bridgeheads, "fortified locations", great advances of the front, and so on, which he demanded, underline this obstinate and stubborn thinking. On the situation maps he saw only the many pencilled-in German divisions and corps without considering that these had long since ceased to possess capabilities equivalent to their designations, and often possessed only half their authorized strengths. Hitler considered the senior commanders at the front, themselves Field Marshals and commanders of armies, as mere takers of orders whom he replaced at will, and who often enough were made scapegoats for his own command errors. 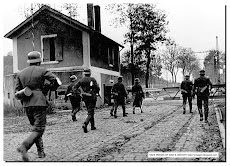 Their freedom of decision was so restricted that any withdrawal or the smallest realignment of the front, even the deployment of a single division, had to be approved by Hitler from his distant headquarters in Rastenburg, East Prussia, or from his home in Berchtesgaden. Two examples should illustrate just how vigorously this policy was enforced: When, in the winter of 1941, General Sponeck dared to withdraw his corps (which consisted of only a single division) from the Crimea on his own initiative because it was in danger of being cut off, he was brought before a court martial on Hitler's orders, sentenced to death and later shot. 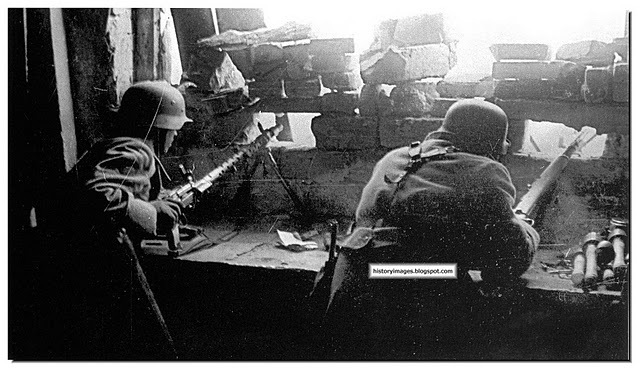 In early 1944 Hitler declared Rovno in the Ukraine a "fortified location" with a garrison of 600 men. The enemy had already entered the city and there were no reserves available. Generalleutnant Koch therefore ordered his forces to pull back to positions just southwest of Rovno. 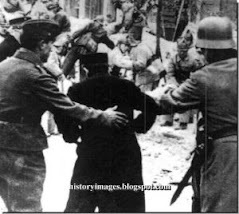 For this independent order he was sentenced to death by a court martial on Hitler's orders for "reckless disobedience." Massive protests by the army group and army led to Koch's return. Demoted to the rank of Major, he was sent back to the front to "prove himself." To sum up, Hitler saw things as he wished them to be, refusing to admit the facts. The reality was very, very different. 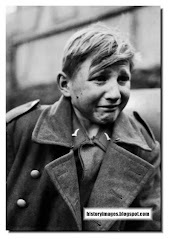 By far the strongest branch of the German Armed Forces, or Wehrmacht, the Army, which by the beginning of 1944 had been forced to wage a more than four year-long war, had already suffered heavy losses, with about 1.6 million dead, including 33,700 officers. These losses weighed especially heavy, because in the face of personnel and materiel shortages they could no longer be replaced. 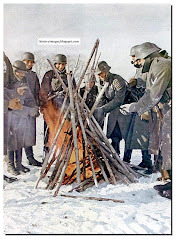 During the almost ceaseless battles of defence and withdrawal on the Eastern Front since mid-1943 the German divisions had literally been burned out, their strength exhausted. Divisions were now more or less large battle groups. 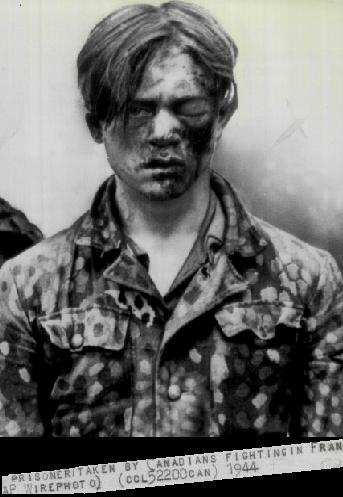 Regiments, battalions and companies, as well as independent battalions and batteries, had sunk to far below their authorized strengths, a large percentage of weapons and equipment had been lost, the units in many cases lacked mobility due to missing equipment, and the men were exhausted as a result of the continuous strain without adequate time to rest and recover. The inadequate numbers of young and inexperienced replacements which reached the front could not make good or replace the heavy losses in experienced soldiers, NCOs and officers, no matter how willing to fight they were. In the field of armaments the most acute shortages were in artillery, assault guns, prime movers, self-propelled weapons, anti-aircraft guns and heavy antitank guns. The one-man anti-tank weapon which had been urgently demanded for so long was only just entering service (the Panzerfaust). As a result, the Soviet tank remained the greatest threat to the German infantryman. 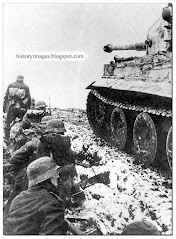 In the panzer force, which had made possible the spectacular "lightning victories" of the early war years - when tanks were employed for strategic purposes for the first time - the divisions had virtually all been reduced to the status of battle groups, and there was a shortage of armored vehicles. Commanders now employed panzer divisions only for local, limited counterattacks and thus they were used up and frittered away. Then there was the defensive system, which due to the shortage of forces scarcely warranted the title. It always consisted of a linear disposition of divisions, one unit beside the other, without any great depth. The line consisted of simple earthworks reinforced by wooden beams, which offered no protection against a direct hit by a heavy artillery shell or a bomb. These shelters, which also served as the soldiers' quarters, were designated as bunkers. 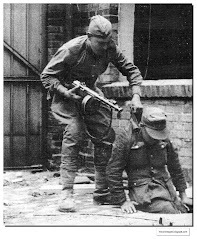 The most forward part of the system of positions formed the Main Line of Resistance (HKL, or Hauptkampflinie), which consisted of a few trenches, infantry positions and earth bunkers, with barbed-wire and mine obstacles in front. Then there was the Main Defensive Position (HKF, or Hauptkampffeld) which was about four or five kilometers in depth. Within this zone were located the positions of the heavy weapons (heavy machine-guns, heavy mortars, anti-tank guns, light and heavy infantry guns), command posts and - when these had made their way up - a limited number of reserves. Behind these were the artillery positions and the supply train areas with their billets - and then the end of the defensive line. Still farther to the rear there were usually well-built blocking, intermediate and rear defence positions, but these were unmanned and therefore worthless. Once the limited depth of the HKL and the HKF had been pierced and the troops manning the defensive line were under constant pressure from the enemy, it was virtually impossible for them to regroup and settle down again in the rear positions. Hitler placed no value in such positions in the rear areas and was often against them. ("They encourage the Generals to have an eye to the rear," he once observed.) As a rule, the available reserves were one division for each army, one battalion for each division and one company for each regiment - a laughable number. It was obvious that any major Soviet offensive must lead to the immediate penetration and breakthrough of such a defence, with all of the unavoidable consequences. 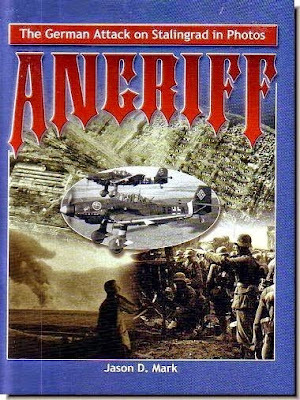 The Luftwaffe still had moderate resources available in early 1944 and provided valuable support. However, following the invasion in the West and the increasingly heavy bombing raids on Germany that summer, its presence diminished. The long-time German command of the air over the Eastern Front was lost. Contrary to what Hitler had so often prophesied, the Russian colossus was not on the verge of collapse. On the contrary, The Red Army had recovered surprisingly quickly from the many defeats of 1941 and 1942, and had become more powerful than ever thanks to the tremendous reserves of man-power in the East, an immense armaments production and the deliveries of materiel from the Allies. Stalin, dictator of the Soviet Union and Hitler's opposite number, had taken a decisive step when he called not for the defence of the Soviet state, which was loved by few Russians, but appealed to Russian patriotism and proclaimed the "Great Patriotic War." Every Russian understood and approved of the defence of "Mother Russia." A new group of military commanders had replaced the old, which had often failed. They had learned enough of the German principles of command: breakthroughs and subsequent advances without regard to lengthening, open flanks; quick, sweeping movements by tanks and motorized units; pincer operations and double-sided envelopments; encirclement of the enemy with following infantry armies, and so on. Offensives by the individual large formations (Fronts Armies) were always closely coordinated by the senior operations staffs. The Russian infantry had not become better than the German, but their shattered and decimated units were rebuilt in quick time from the Soviet Union and the recaptured territories, while their vast resources allowed them to form new, fresh and powerful front-line units. Outfitting of the troops with automatic weapons was good, and plenty of anti-tank weapons were on hand. Mobility was increased through growing motorization and the unique Soviet style of infantry riding into battle aboard tanks. Soviet tank units, initially parcelled out in brigades and battalions to support the infantry, had now been concentrated in tank armies and corps.5 These represented extremely mobile operational units possessing considerable striking power. Already streaming from the Soviet tank factories was the proven T-34, supplemented towards the end of the war by the super-heavy "Stalin" tank and large numbers of assault guns. The total production of the Soviet tank industry was enormous. Stalin himself had declared that artillery was "the God of War." In addition to the lavish numbers of artillery pieces (some of which were quite outstanding, especially the 7.62-cm multi-purpose gun, the much-feared "Ratschbum") supplied to individual divisions, there were independent mortar regiments, artillery divisions and even artillery corps. The concentrations of artillery and the preparatory bombardment before a Soviet offensive were always overwhelming. The greatest surprise in 1944 was the Soviet Air Force, which appeared to have been almost destroyed after the first years of the war, but which now intervened in every battle with tremendous numbers of new bombers and close-support aircraft. In addition to the Soviet arms industry, which in contrast to Germany's was not threatened by enemy air attack and therefore could produce on a tremendous scale, the Red Army was also strengthened by the unhindered deliveries of tanks, aircraft, motor vehicles, weapons and military equipment of every description from the Allies, which reached their peak in 1944. Thus in a few sentences the question is answered as to why the Soviets could destroy so many still effective German Eastern Front divisions, often within a brief period of time. 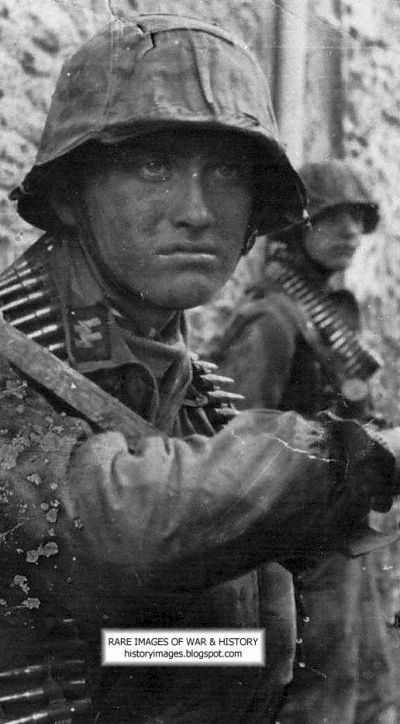 In addition to the completely misguided senior German command and the steadily decreasing strength of the German Army, it was the tremendous numerical superiority of the Red Army in soldiers, tanks, artillery and aircraft, in addition to the improved morale brought about by its successes, that had transformed it into an overpowering opponent.6 Germany's military situation at the beginning of 1944 was as follows: The setbacks on the Eastern Front had begun with three major Soviet offensives in the South between November 1942 and January 1943, which had led to the collapse of the entire southern sector. 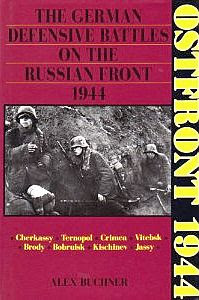 The Sixth Army had been lost at Stalingrad and Army Group A was forced to evacuate the Caucasus. Not until mid-March 1943 was the Soviet offensive brought to a halt near Kharkov. 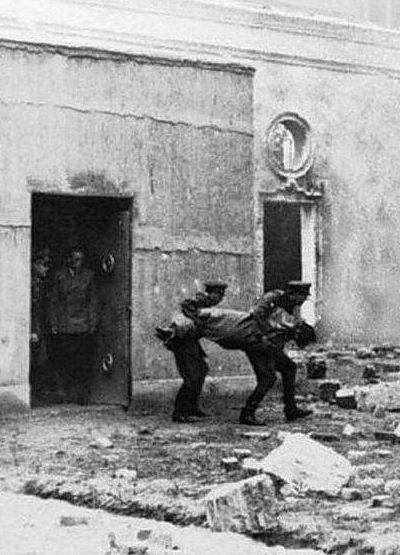 Germany's attempt to regain the initiative through Operation "Zitadelle" failed when the Red Army succeeded in breaking into the flank and rear of the German Army Group Center near Orel. The Soviet general offensive broke out on July 17, beginning on the Donets. Russian forces, far superior in men and materiel, recaptured the entire area between the Sea of Azov and the Upper Dniepr, cutting off the German-occupied Crimea. On January 4, 1944, Soviet divisions crossed the former Russian-Polish border at Wolhynien. As on all other fronts, the military initiative in the East had passed to the enemy. The battle in North Africa had ended on May 13, 1943, with the surrender of Army Group Afrika in Tunis, and it was only two months later that Allied forces landed in Sicily. Germany's Italian allies could take no more and concluded a cease-fire with the enemy. Encouraged, the Allies landed in southern Italy a few days later. A new third front had been created, after the battle against the growing strength of the Greek and Yugoslavian partisans had become the second front. 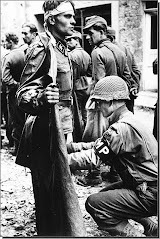 And finally, with the landing of the Allies in Normandy on June 6, 1944, there was added a fourth front in the West. 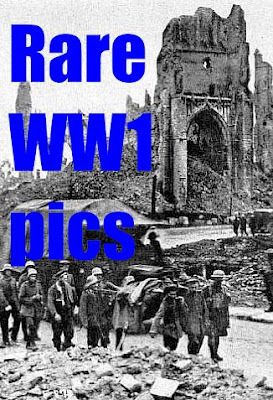 The battle by German U-Boats in the Atlantic had been lost and Germany lay increasingly helpless under the bombing attacks of the Allied air forces. The "Battle for Europe", a catch-phrase which originated at that time, had begun. 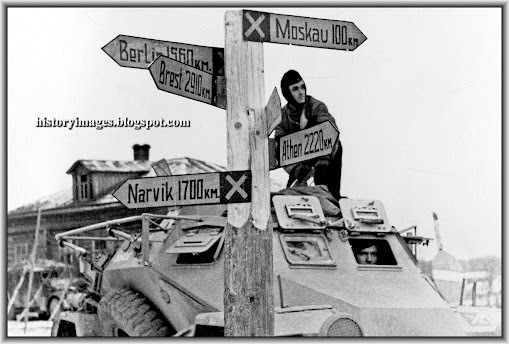 At the beginning of this catastrophic year German divisions in the East were still deep inside Russia in the Crimea, the lower Dniepr and before Leningrad; by the end of the year they had been pushed back to Budapest, the Vistula and as far as East Prussia. 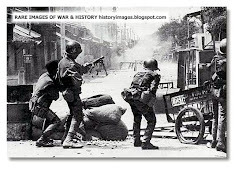 Of four German Army Groups, two had been lost, of eleven Armies, six had been destroyed and five badly battered. 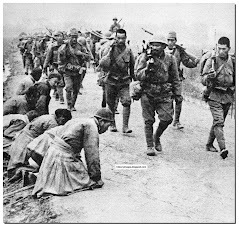 In the six Eastern Front battles described herein, over 600,000 German soldiers were killed, posted missing or taken prisoner. A withdrawal of the entire Eastern Front behind an "East Wall" at the beginning of 1944 could have helped avoid these tremendous losses and protected Germany's frontiers in the East.